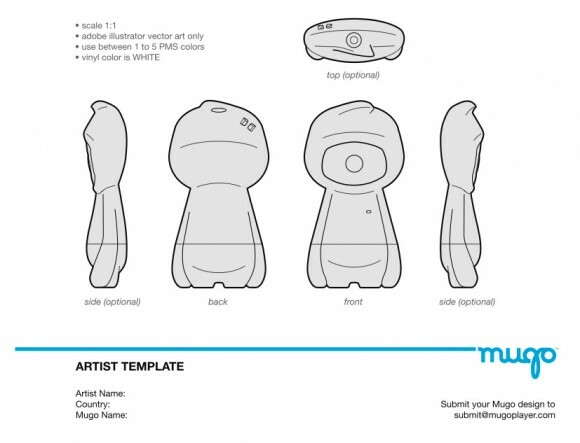 Mugo is not your run of the mill designer art toy. 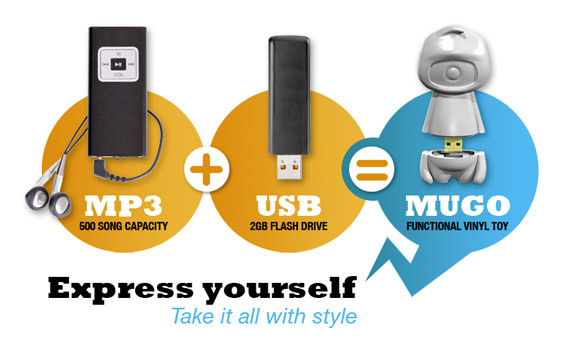 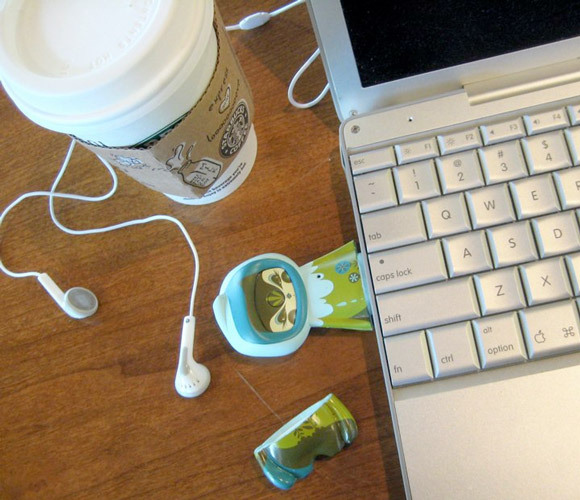 In fact the Mugo Player is a functional art toy/ flash drive/ Mp3 player that blurs the lines between art, toys, music and technology. 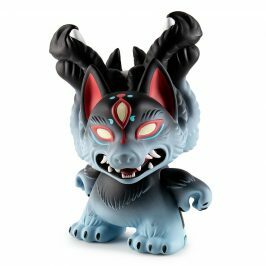 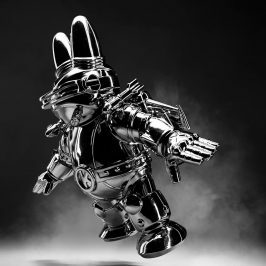 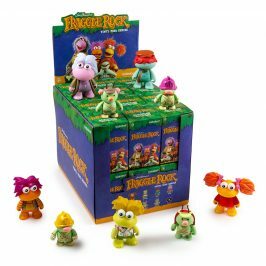 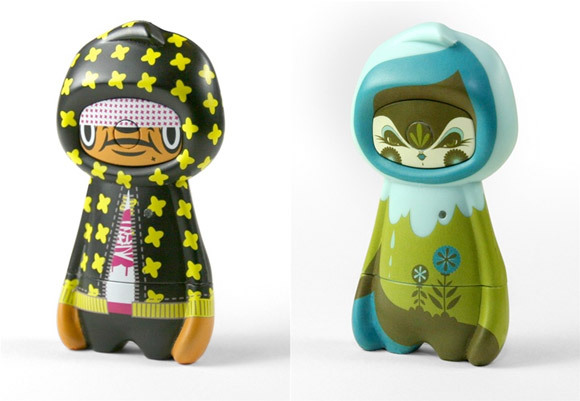 Like most platform toys, Mugo has a limited edition artist series available including the works of Shin Tanaka, Julie West, Paulo Arraiano aka Yup and Touguri. 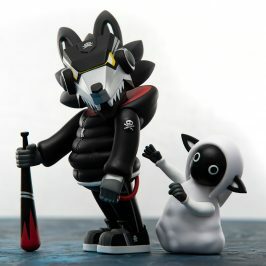 This simple 3.5-inch tall character is 1.8-inches wide, comes with 2 gigs of memory, some ear buds and features all of the music controls in the face. 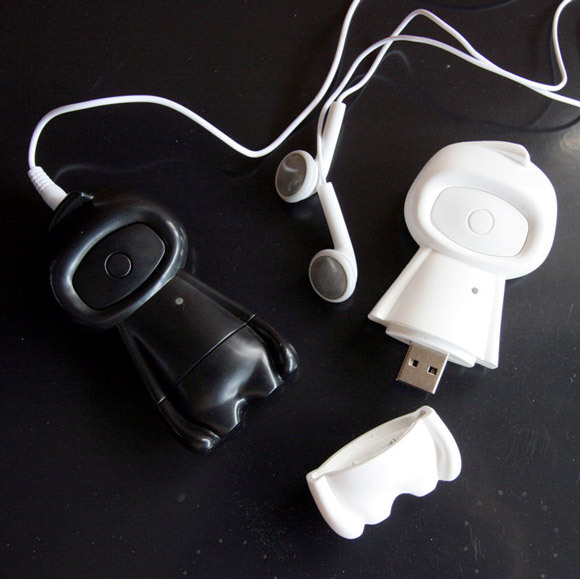 The DIY white and black version is just waiting for you to customize. 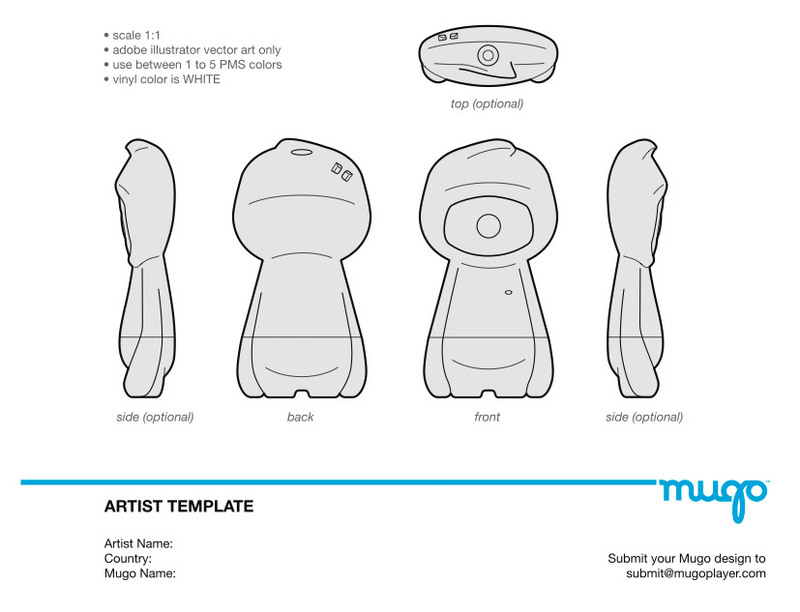 Download the template to practice or submit your art work and join the Mugo community of artists. 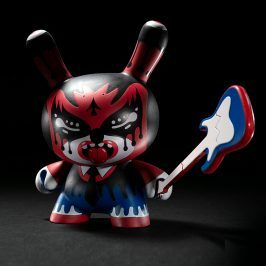 Right now they are only available for $50 for the blank and $60 for the artist series on the Mugo website. 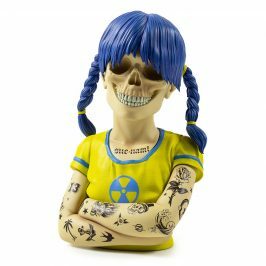 Be on the look out for more artist designs by Frank Kozik, Jon Burgerman and Scott Tolleson coming sometime before the holidays.